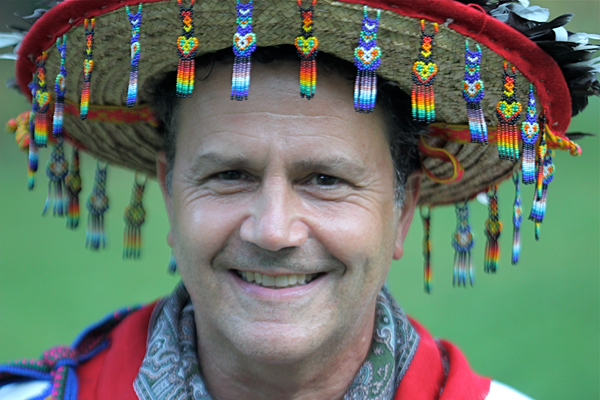 As a marakame, Lawrence Messerman offers traditional shamanic healing treatments. Shamanic healing is the oldest form of medicine, and has been practiced in one form or another in all parts of the world. No matter how it varies in appearance from one culture to another, shamanic healing is about bringing harmony and balance. While modern medicine excels at addressing the bio-mechanical aspects of healing, it rarely touches upon those deeper realms of emotion and spirit that are the foundation of our well-being. In a typical session, we might sit around a consecrated fire. In the Huichol tradition, it is Grandfather Fire (Tatewarí in Huichol) who connects us together as client and practitioner as well as connecting me to the sacred sites that provide the healing gifts. A session might include counseling, 'cleansing,' and sometimes even homework. Healing is a mysterious process and there are no guarantees. That said, shamanic healing can profoundly transform a person's life. When we know who we are and our place in the world, it can impact us physically and emotionally as well as spiritually. This is the kind of medicine that can not only heal us individually, but heal our relationship to each other and the world. Indeed, to move towards true sustainability as a people, elders from many traditions see that we must undertake the kind of deep healing provided by traditional medicine. Our ancestors knew that true healing requires being in right relationship with each other, with nature, and with the Great Mystery. This kind of “attunement” is the goal of shamanic healing. Contact Lawrence for an appointment or to learn more.